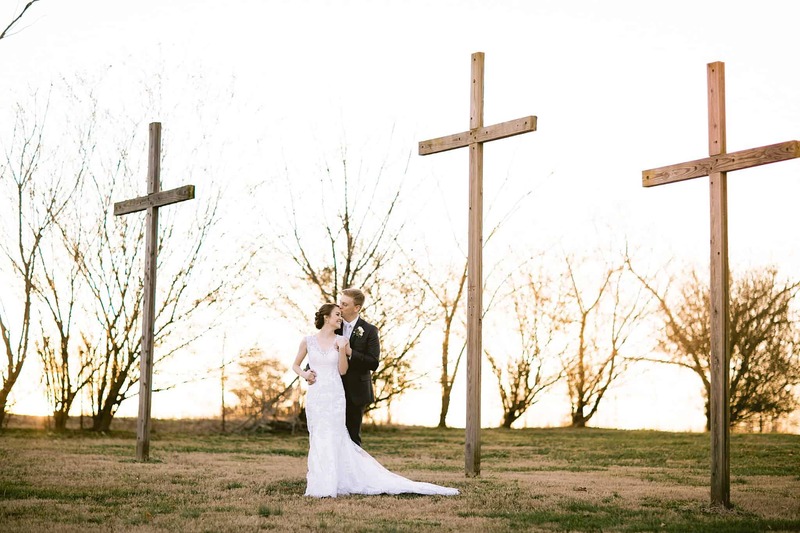 Hannah and Justin’s vows were the kind that make you feel amazed that two people who are perfect for each other can cross paths and change history. Their tale of finding each other in college and sparking a new love for life in each other is awe-inspiring. Their dog Scout might have slept through it, but everyone else was wiping tears as these two pledged their whole selves to each other. They day started out exactly as everyone hoped it wouldn’t: a downpour. We arrived early to scope some under-cover photo spots, and Justin’s parents’ home was perfection. The Spanish-style architecture with stone and arches made for a romantic atmosphere, though when these two are around each other they need no help. Their mature yet tender devotion to each other just fills the air. The rain came and went, teasing us as it poured, then dwindled, throughout the day. As afternoon approached, the sun tried hard to poke through the clouds and warm us up (as if we needed it!) but the good news is, the longest stretch of dry skies happened JUST for their outdoor ceremony. In front a floral arch, beside a serene pond, and under a magnificent oak tree, these two became husband and wife (and dog), and then celebrated with a rainbow and dancing in the rain. It was perfect and we love the images that resulted from it. Here’s a peek into their day.